"Once upon a time there was a father who, because he had grown old, called together his sons and daughters—four, five, six, eight in number—and finally convinced them, after long hesitation, to do as he wished. 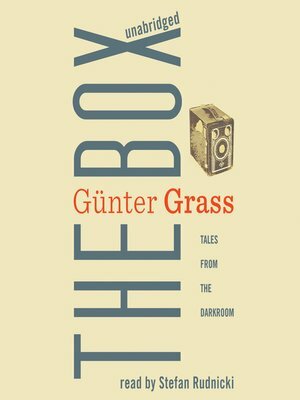 Now they are sitting around a table and begin to talk..."
In a great literary experiment, Nobel Prize winner Günter Grass writes in the voices of his eight children as they record memories of their childhoods, of growing up, and of their father, who was always at work on a new book, always at the margins of their lives. Memories contradictory, critical, loving, accusatory—they piece together an intimate picture of this most public of men, a shadowy but loving figure. There is one constant though: Marie, a family friend and photographer whose snapshots taken with an old-fashioned Agfa box camera provide the author with inspiration for his novels. But her images offer much more; they reveal a truth beyond the ordinary detail of life, depict the future, tell what might have been, and grant the wishes, in visual form, of those photographed. Marie's camera thus becomes a way for Grass to speak in the voices of his children's hidden selves—their dreams, their disappointments, their secret desires and fears—and to see his own life from unexpected perspectives. Recalling J. M. Coetzee's Summertime and Umberto Eco's The Mysterious Flame of Queen Loana, The Box is an inspired and daring work of fiction. In its candor, wit, and earthiness, it is Grass at his best. Krishna Winston has been a professor of German language and literature at Wesleyan University for over thirty years. She is the recipient of the Kurt and Helen Wolff Prize and the Schlegel-Tieck Prize for translation. Gunter Grass (1927-2015) was born in Danzig, Germany. A novelist, playwright, essayist, graphic artist, and poet, he was the author of many acclaimed books. In 1999 he was awarded the Nobel Prize for Literature. He lived in Lubeck, Germany.